Denver Seminary’s main campus is in a prime location in the Denver Metro area. It sits just above the historic South Platte River and has spectacular views of the Rocky Mountains from almost every window and bench on campus. If you feel the need to be in nature, then walk off campus directly onto the walking/bike path that runs for miles throughout the city along rivers and green spaces. Or, hop on the Light Rail, located minutes away, and head downtown for ministry or fun. Maybe you are more interested in connecting with other students or faculty over coffee, then head to the Student Center with its mountain resort feel as you enjoy a cushy chair next to the fireplace sipping a latte. Need to hit the books, then hide away in one of the dozens of cozy alcoves in the library or reserve a private room for a study session with classmates. 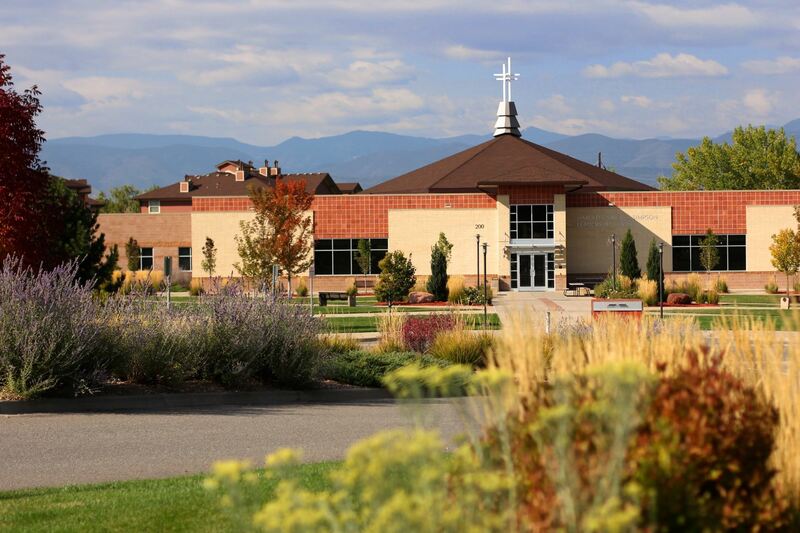 Whether you are attending chapel or classes, having a meeting with a mentor or catching up over coffee, Denver Seminary’s campus is one that feels like home and is one you won’t want to leave.